The Ocean Course is described by course designer Jack Nicklaus as “the best golf property I’ve ever seen.” This 18-hole, award-winning course is one of the few courses in the world that offers dramatic views of mountain, desert and sea. 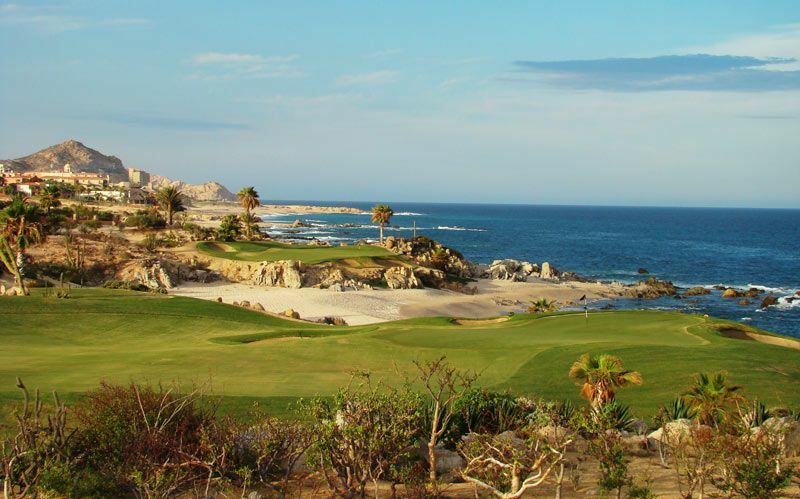 Located at the tip of the Baja peninsula along the 20-mile Corridor between Cabo San Lucas and San Jose del Cabo, The Ocean Course is the centerpiece of the 1,800-acre residential resort community of Cabo del Sol. 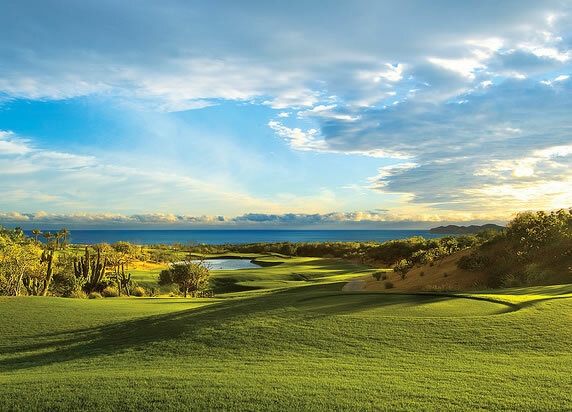 Nicklaus’ second Signature course in Mexico, The Ocean Course capitalizes on the beauty and landscape of Los Cabos, stretching for more than a mile across some of the most breathtaking and awe-inspiring terrain in the Western Hemisphere. 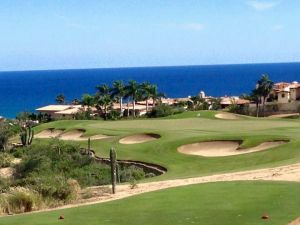 The Ocean Course is poised against a magnificent backdrop that contrasts the emerald green turf with the brilliant blue of the Sea of Cortez. A dramatic layout places seven holes along the coastline of craggy rock outcroppings ascending from golden, sun-washed shores. Praised by Nicklaus for having the “three finest holes in golf,” The Ocean Course is framed by natural desert landscape, with giant cardon cacti towering over perfectly manicured greens and tees. 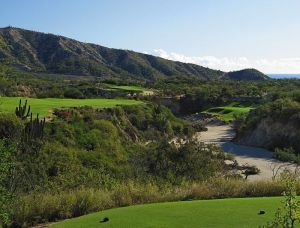 On the signature 17th hole, golfers must tee off from a cliff top and carry their ball over a sandy cove to a green surrounded by rock outcroppings from the Sea of Cortez. 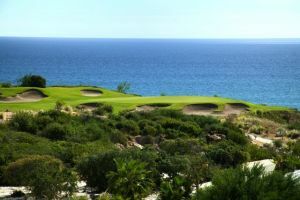 The par-four 18th hole doglegs from left to right and follows the curve of the shoreline to a large oceanside green. 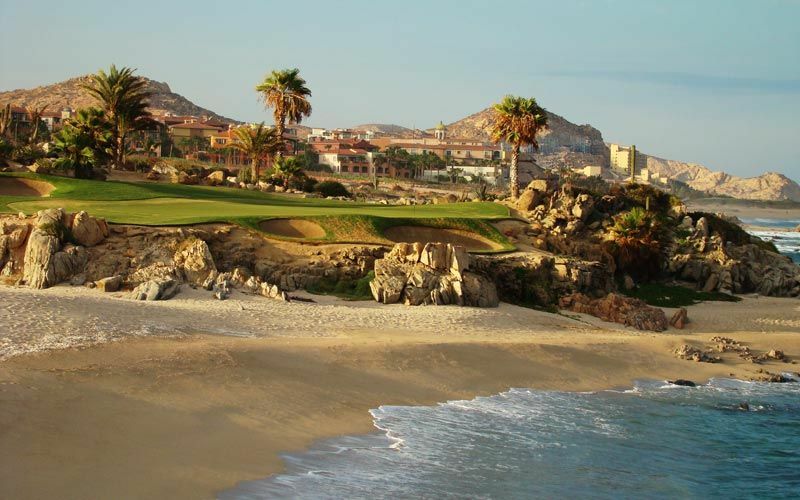 Cabo Del Sol Ocean Course is not yet in our pool of Golf Courses for orders.